Review by Nathan Hinkle, July 13, 2014, 7 p.m. 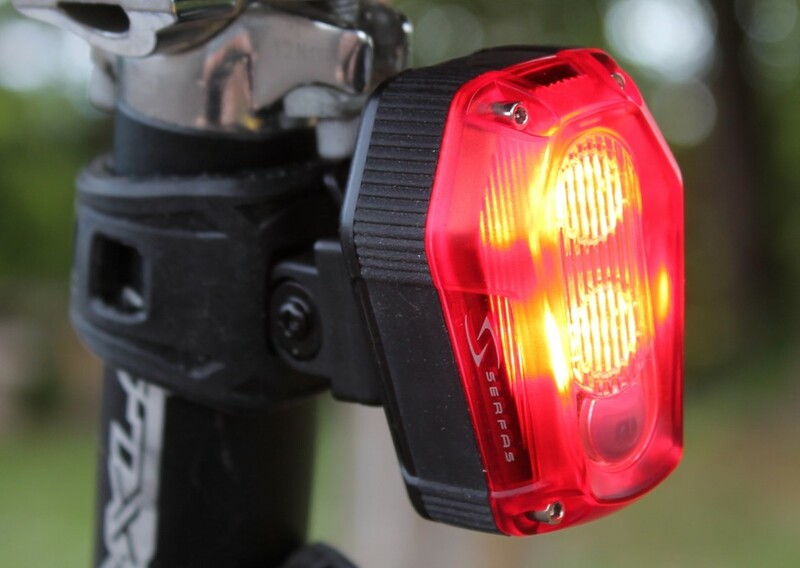 The Vis 360+ is one of the few bike lights I've seen that is designed specifically and exclusively for helmet use. 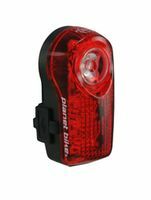 As the name implies, it's meant to provide the rider with 360° of visibility. 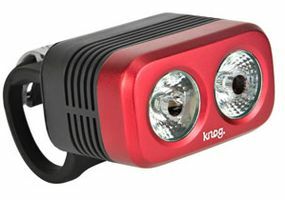 A small headlight goes on the front, connected via a springy cord to the rear light which is integrated into the battery pack. 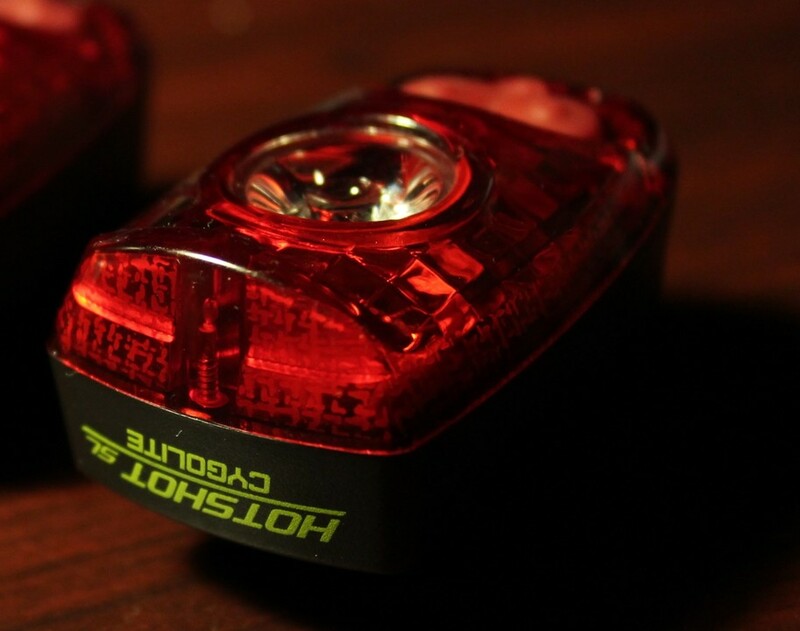 Both the front and rear lights have amber side visibility: the front light has filtered cutouts to allow some of the main beam to come out the side, and the rear light has separate yellow LEDs on each side. 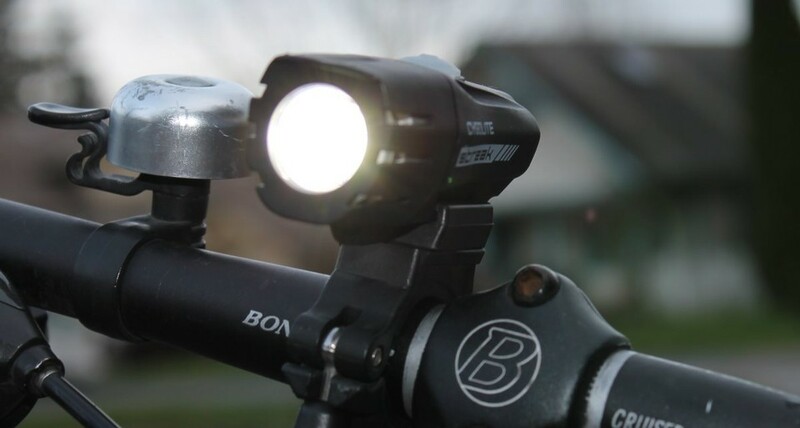 The headlight provides a wide beam, putting out 250 lumens on high. 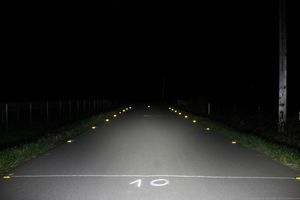 It's not much compared to many high-powered headlights these days, but is quite sufficient to provide visibility for safety, which is what this light sets out to do. 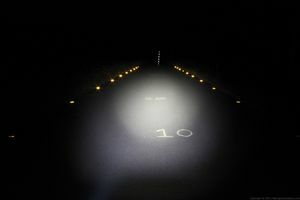 It's bright enough to find your way if necessary, but I wouldn't use it as my only light. 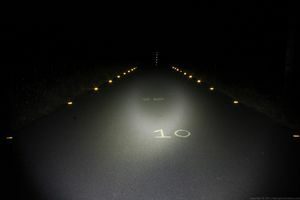 The wide angle of the headlight combined with the amber side visibility ports makes the light very noticeable from the front and sides. 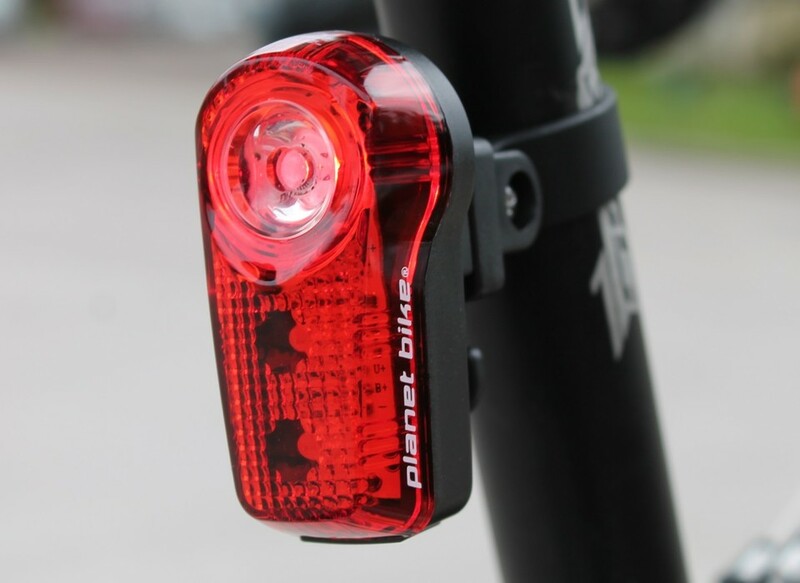 The rear light isn't quite as bright (L&M doesn't specify its output either), but is definitely still very visible, and has great off-axis visibility. 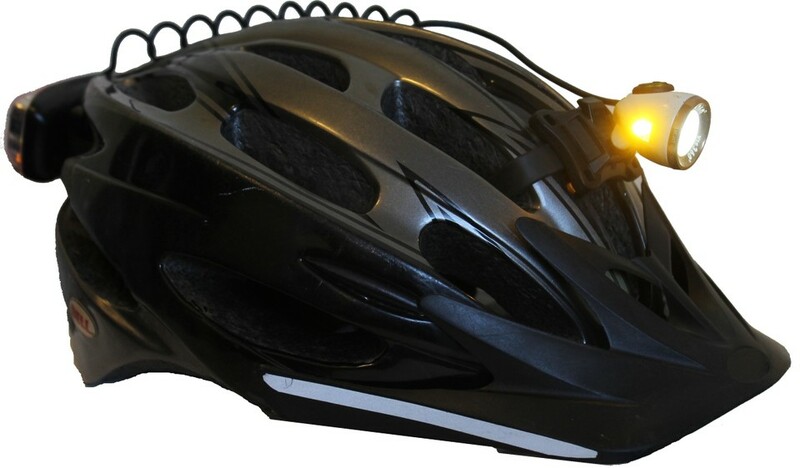 This is important, because riders' heads can be in many different positions, and a more focused beam would be hard to see if the rider's head was turned. 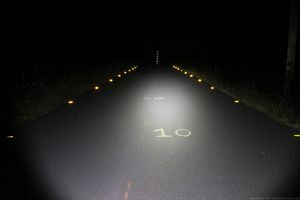 The side visibility LEDs on the rear are small and so dim that they're practically pointless, but fortunately the side lighting from the headlight is bright enough to make up for it. 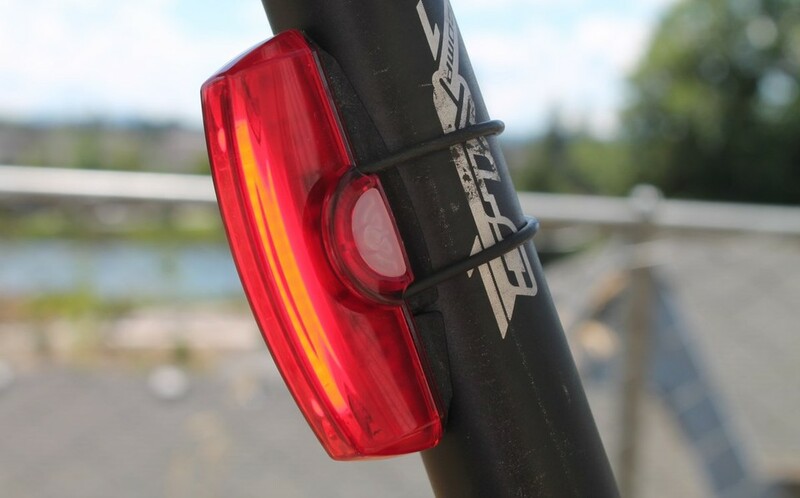 Review by Nathan Hinkle, July 12, 2014, 4 p.m.
Cateye's Rapid series has been around for a while, and I was a big fan of the Rapid 5 in particular when I wrote my first taillight review back in 2012. 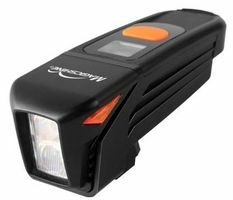 Technology's evolved a bit since then, and Cateye's new Rapid X light is a dramatic departure from its predecessors. 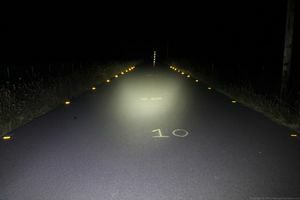 Rather than having several larger LEDs spread out across the light, the Rapid X has a bunch of minuscule LEDs lined up to appear as one larger bar of light. 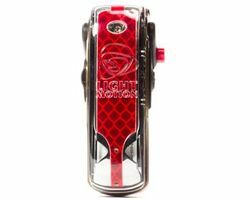 The light has an integrated USB-rechargeable battery, and is very light at just 23 g.
While the features sound good, in actual use the light is extremely frustrating. 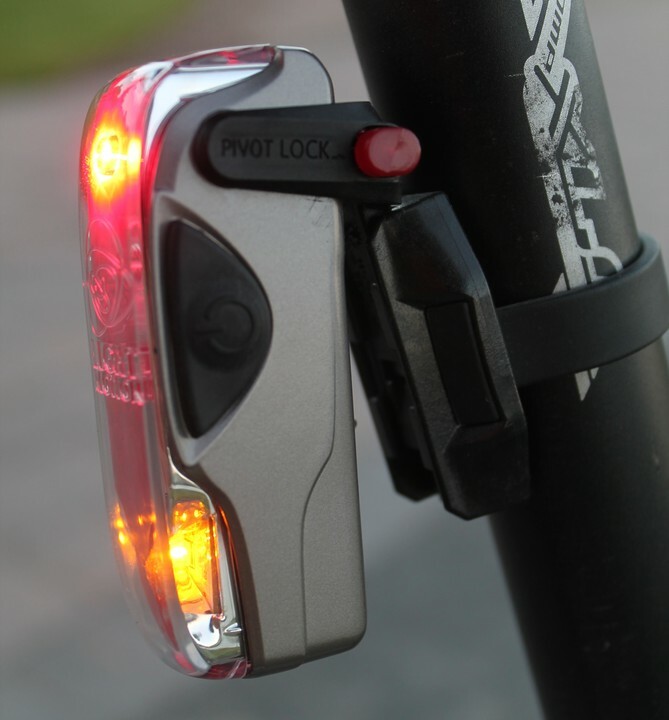 The circular rubber straps provided to attach it to the seatpost are very small, and must be stretched to the limit to attach the light. This makes it very difficult to quickly install/remove the light. 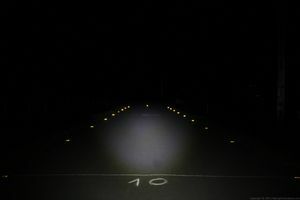 You're also stuck having the light at whatever angle your seatpost is at, which for me meant the light shined mostly towards the ground, not towards traffic. Due to the rubber band attachment setup, there's no way to change the angle. Review by Nathan Hinkle, July 12, 2014, 3 p.m. 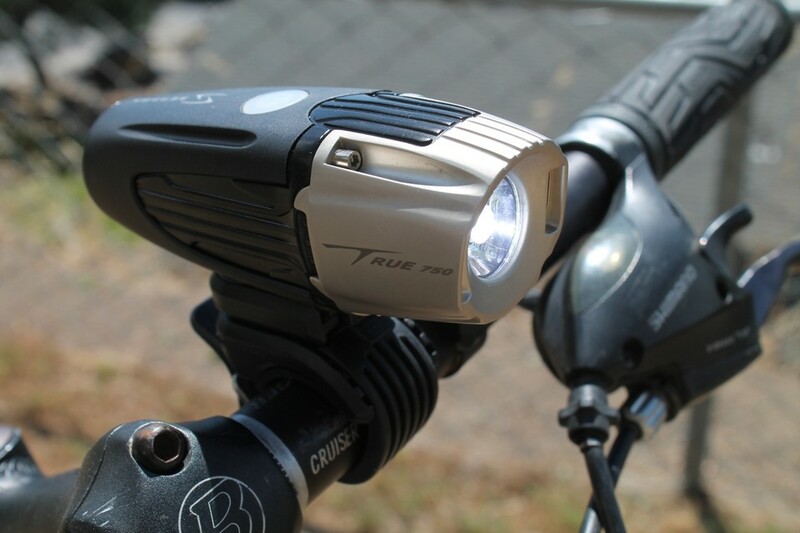 The TSL-750 is the first Serfas headlight I've tested since the TSL-S500 I reviewed last year. 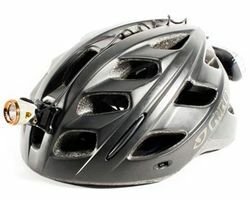 It has the same conveniently removable battery and handy mount, and a similar overall design. 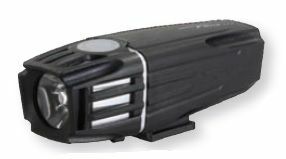 The 750 however is significantly bulkier than its predecessors, and weighs in at a hefty 195g, nearly 50% heavier than the TSL-S500. 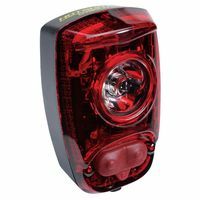 My primary complaint with all of the Serfas TSL lights I've tested is the extremely focused beam and lack of side visibility. 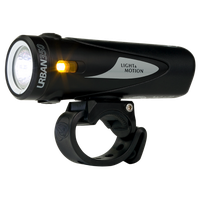 Unfortunately, the TSL-750 comes with a similarly narrow spot lens installed by default, creating an extremely bright yet very small circle of light that I didn't find useful for riding on roads or trails. 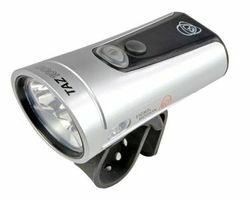 However, Serfas is trying something new with the TSL-750: a wide "flood" lens comes in the box, and can be swapped out by the user. Swapping out the lens is not difficult, but it can't be done on the fly, and isn't epitome of user-friendly either. I'll go into a bit more detail on the lens swap process itself below, after describing the differences in using the two optics. Review by Nathan Hinkle, July 7, 2014, 9 p.m. 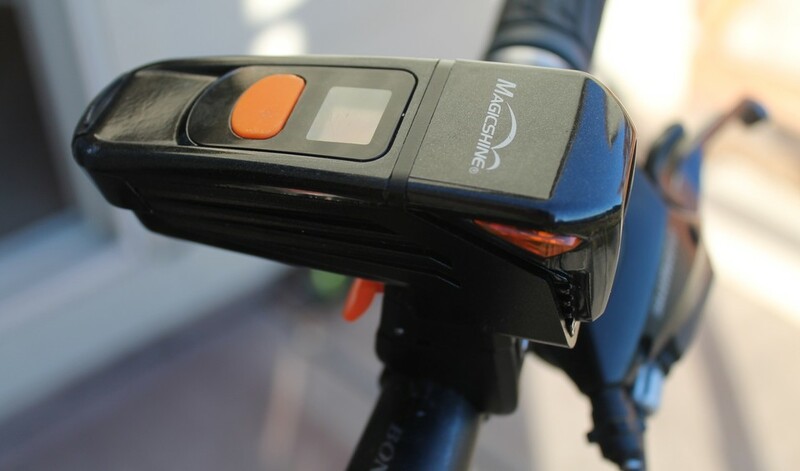 When MagicShine announced the Eagle 600, bike blogs and twitter feeds were abuzz about its OLED display that shows how much runtime the light has remaining. 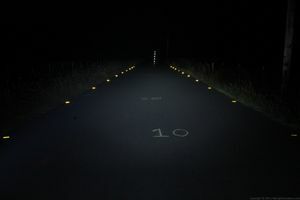 Although some other lights feature color-coded battery indicators, none before has literally told you how much time is remaining. 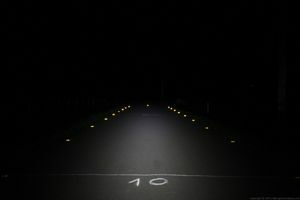 Battery life is important, and knowing how much time you have to get home before you're left in the dark is a welcome feature. 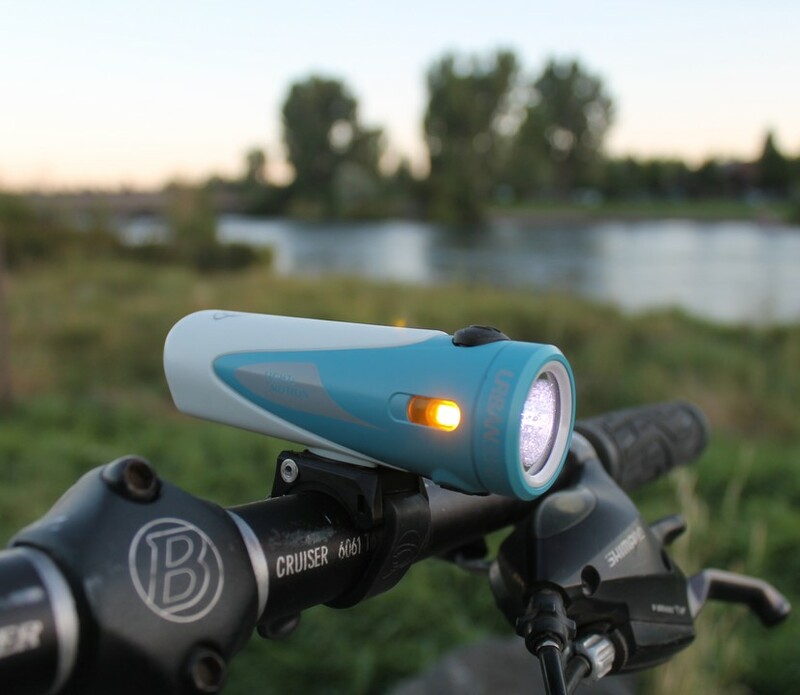 But a light is much more than its battery display. 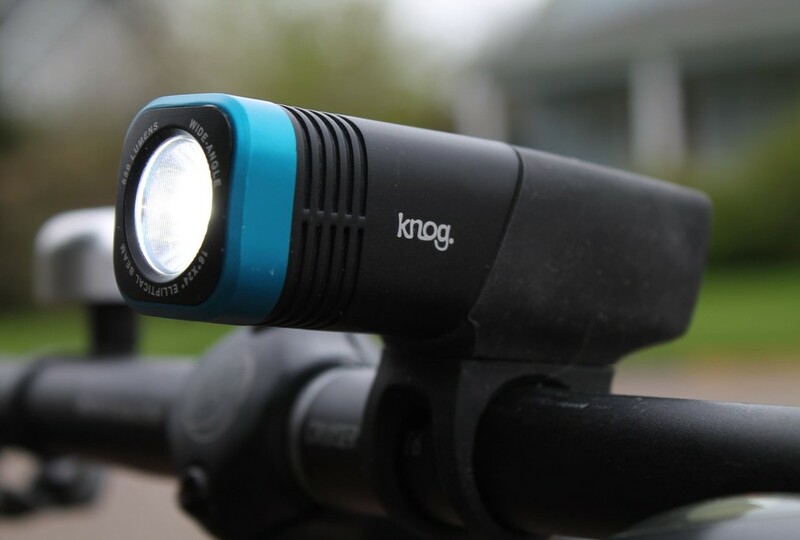 The Eagle 600 gets several key features right that other lights lack, but also falls short in some critical areas. 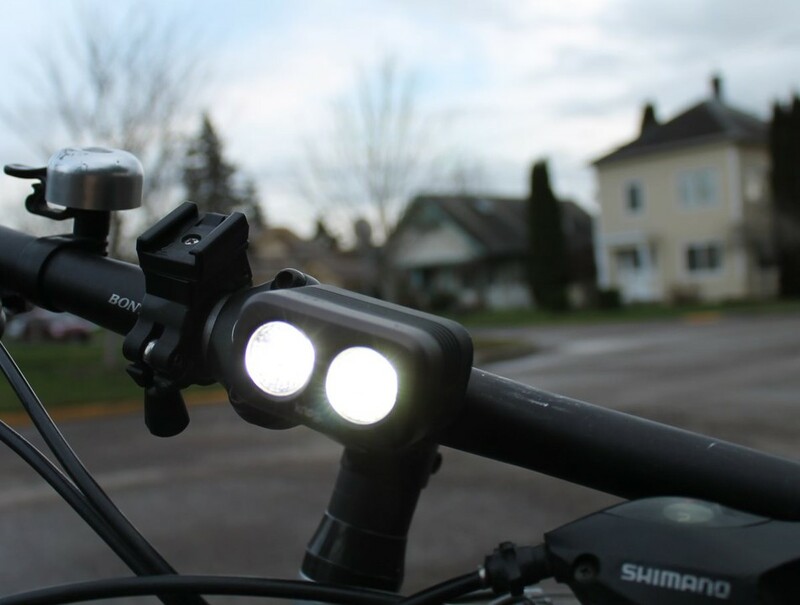 I'll get to a detailed analysis of that famed OLED charging display, but first let's discuss the other unique features of this light. Review by Nathan Hinkle, May 15, 2014, 8 a.m. 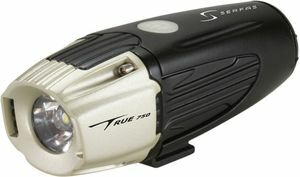 I'm a big fan of the Serfas TL-60 – it's really bright, sturdy, has decent battery life, and is easy to use. 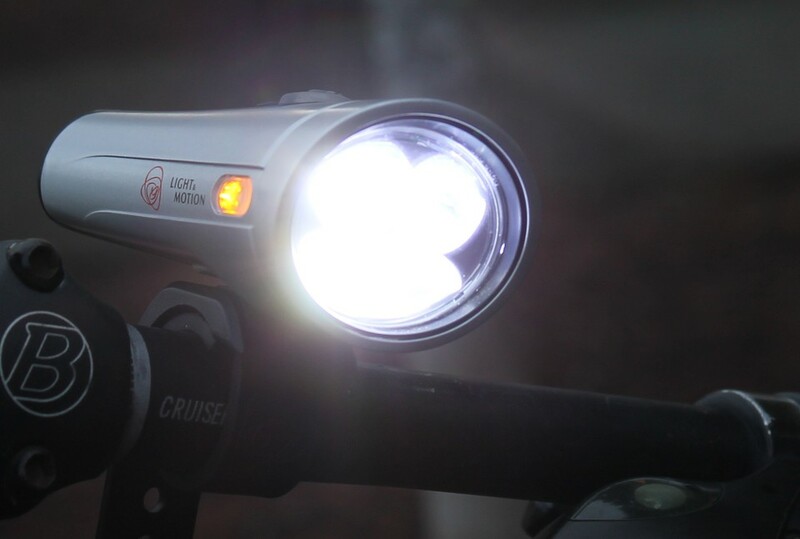 It had a few problems though: primarily a very narrowly focused beam, and no warning when the battery drops. 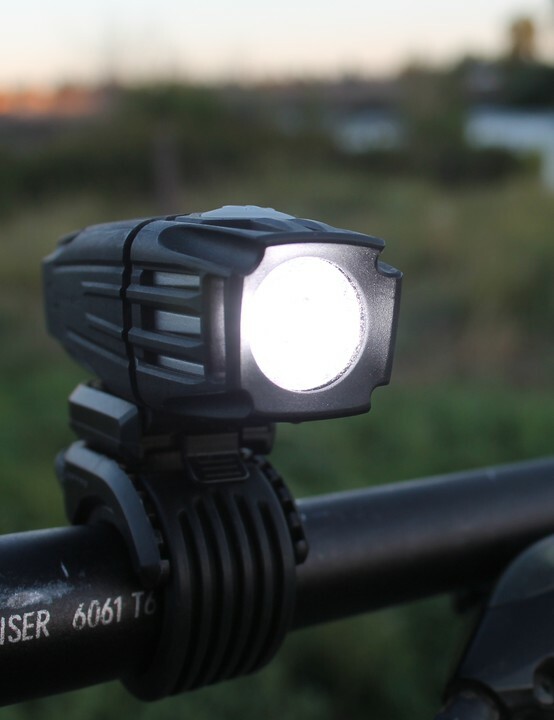 The new TL-80 is a significant upgrade, addressing some of those problems. 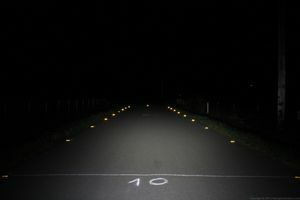 First, let's talk about beam pattern. 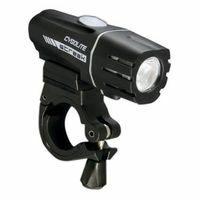 Many lights – including the TL-60, and many popular lights like the Cygolite Hotshot and the Planet Bike Super Flash – have very intense but narrow beams. 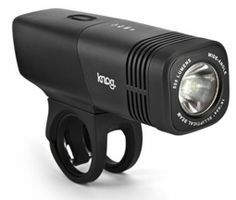 They form a bright spot that's visible from a long distance when viewed straight-on, but quickly loses intensity from any other angle.